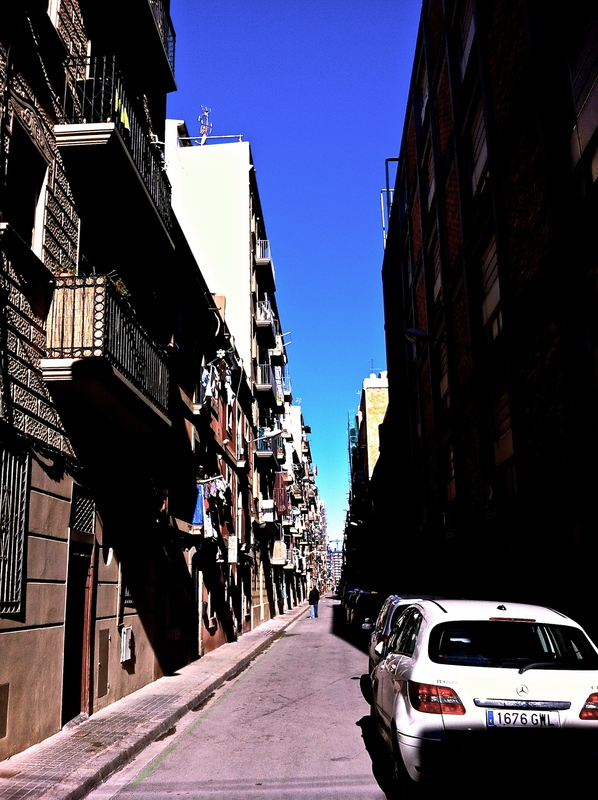 Barcelona continues to exceed my expectations. What a city! 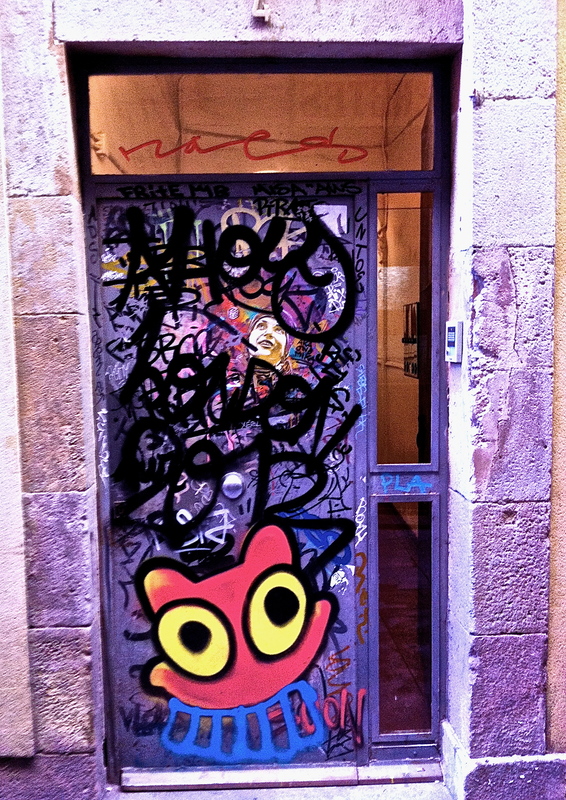 I have been living here for 6 months now and I’ve only seen a smidgen of what Barcelona has to offer. The city really has a personality like no other. I find it hard to fault, a part from the weather which is fairly cold at times. Although considering the weather in England is far colder, I cannot complain too much. 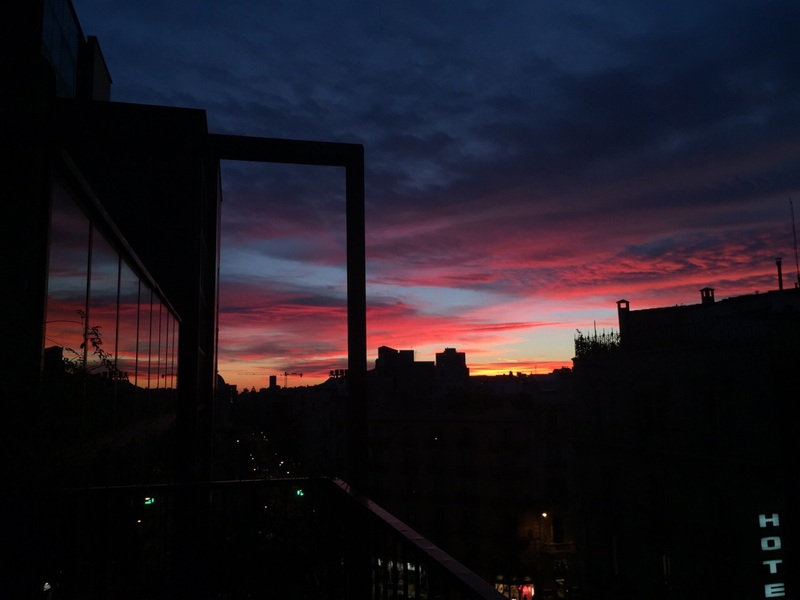 The sunset from our flat. 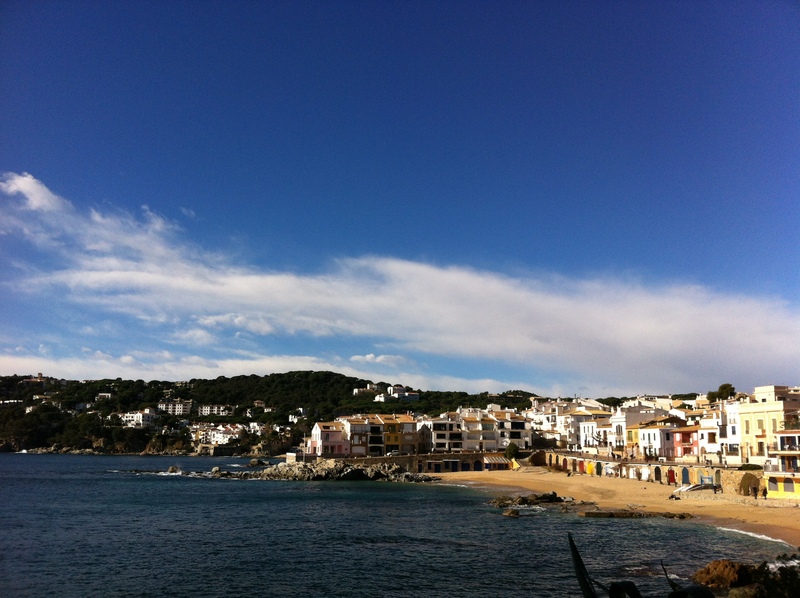 I also very fortunately had the opportunity to explore more of Catalonia, going to a beautiful small town called Callela de la Palafrugell, in the Costa Brava region just north of Barcelona. It was stunning. We were 8 guys in total and went away for a boys weekend. The 3 days consisted of beer, beach and poker. It was a nice respite from a class full of girls (which can be difficult at times). 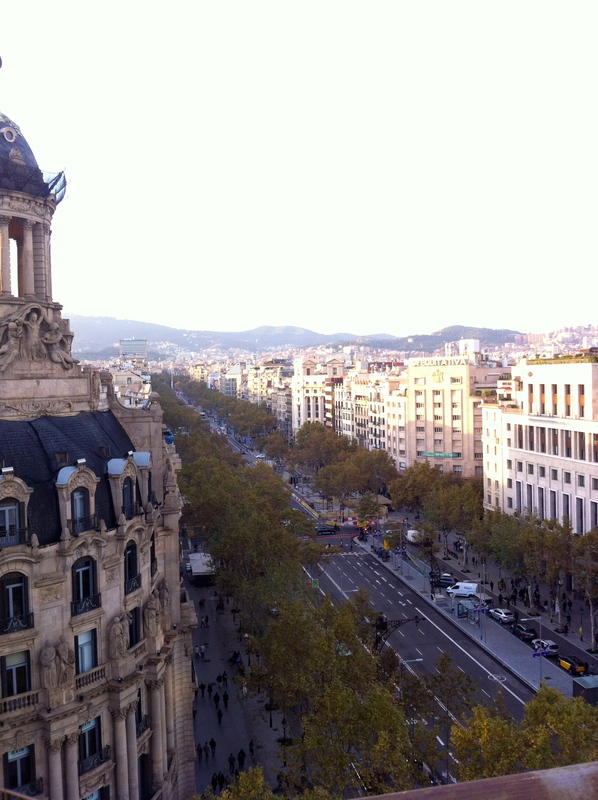 My awaited Christmas present was here – tickets to see Barcelona vs Villarreal. 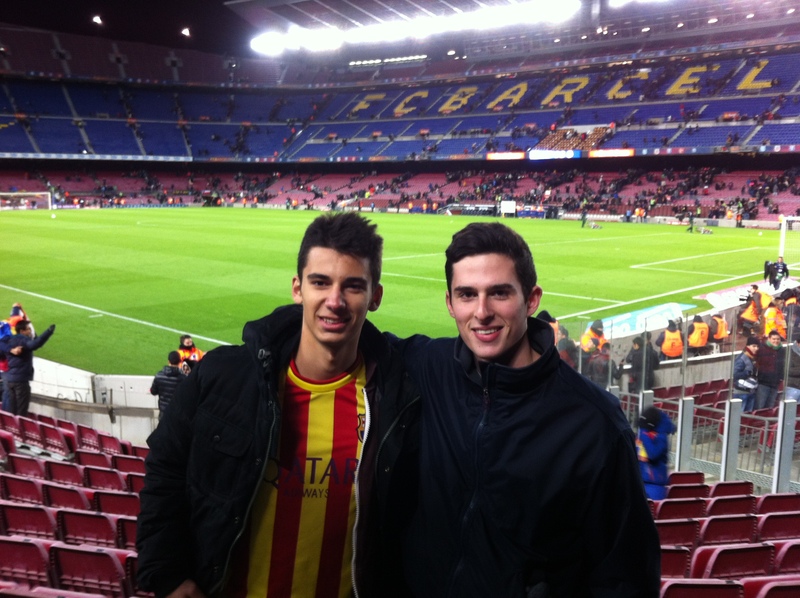 I took my Argentinean friend Franco (a big Messi supporter of course) and we had the best time. The game couldn’t have been more exciting and our seats were in the best position. 3-2 win for Barcelona! 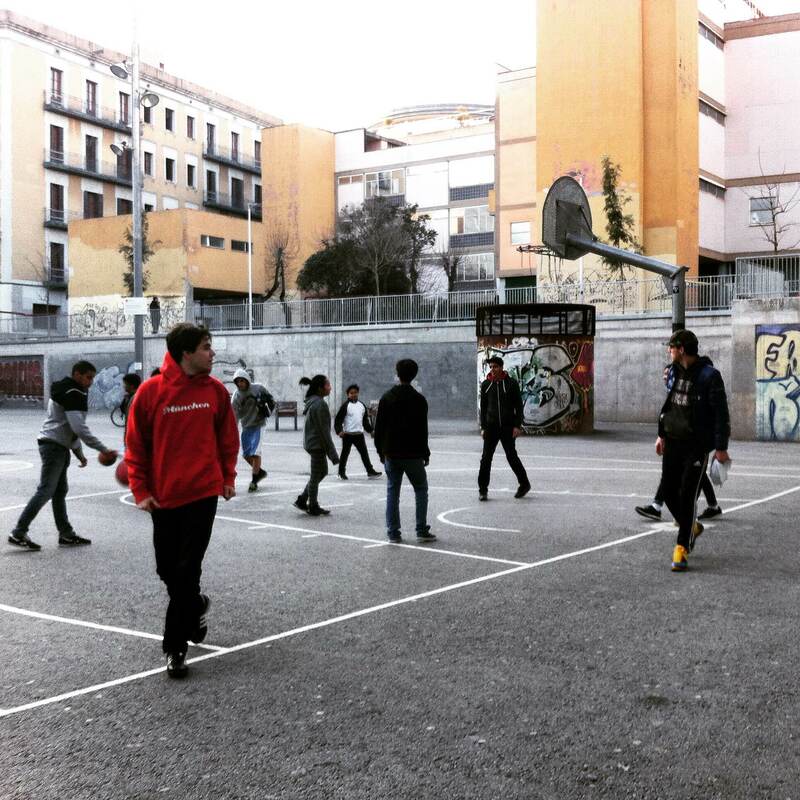 A very fun game of sunday Basketball in the Raval area with my German friends. 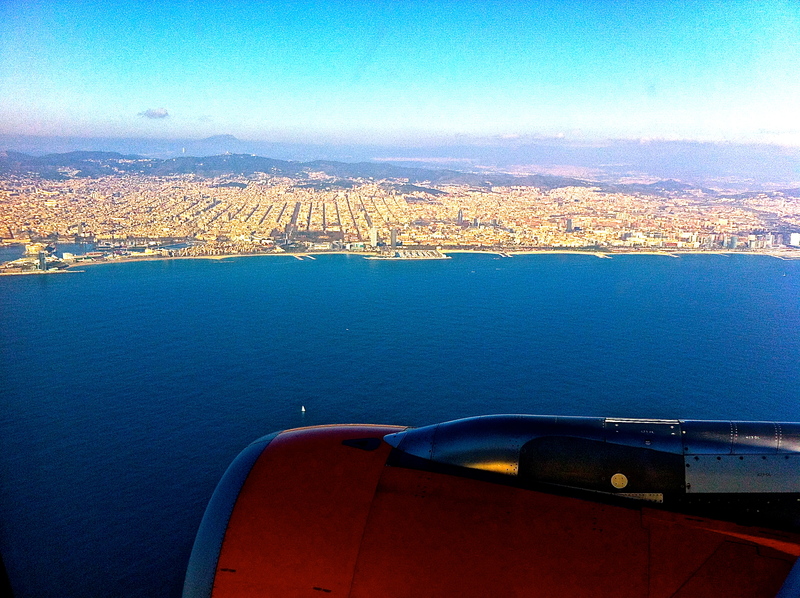 Barcelona – What a city!! 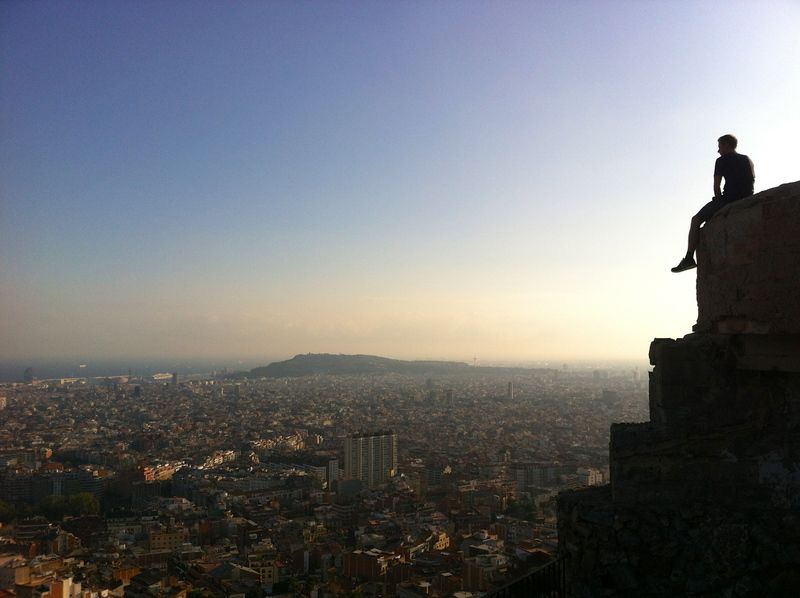 I have been living/ studying in Barcelona for nearly three months now and my love for the city keeps on growing. 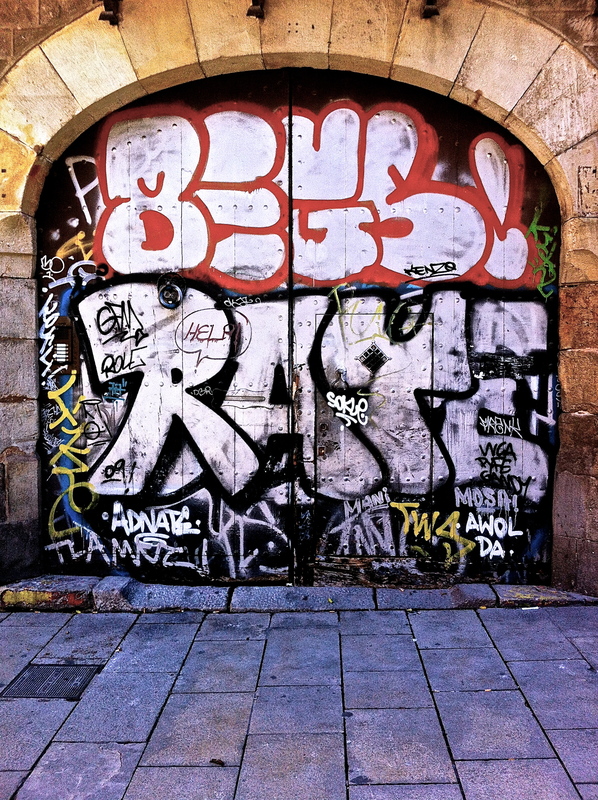 Barcelona has a personality like no other. There are around 10 districts which are completely different and within those districts are ‘barrios’ and within those there are even smaller ‘barrios’ boasting such different architecture, food and culture. 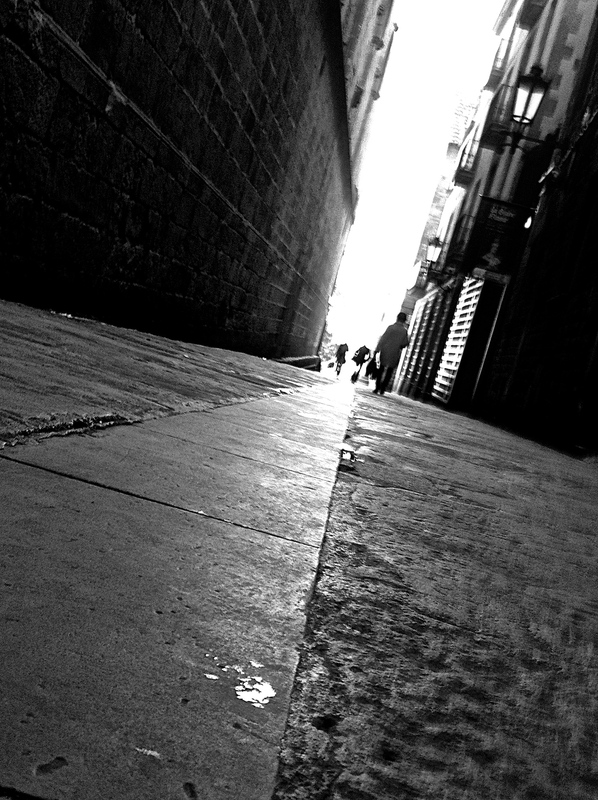 One moment you are walking on wide roads with hundreds of tourists and the next you could be walking by yourself through narrow gothic streets. Catalonia wants nothing more than to be independent. I have yet to understand completely why, however I see everyday how passionate the people really are. Life here is fun! The city is overflowing with restaurants and bars and the nightlife goes on into the early hours. I cannot wait to spend another 2 years here. About a week ago i thought i better organise my future after my year of backpacking across the world. 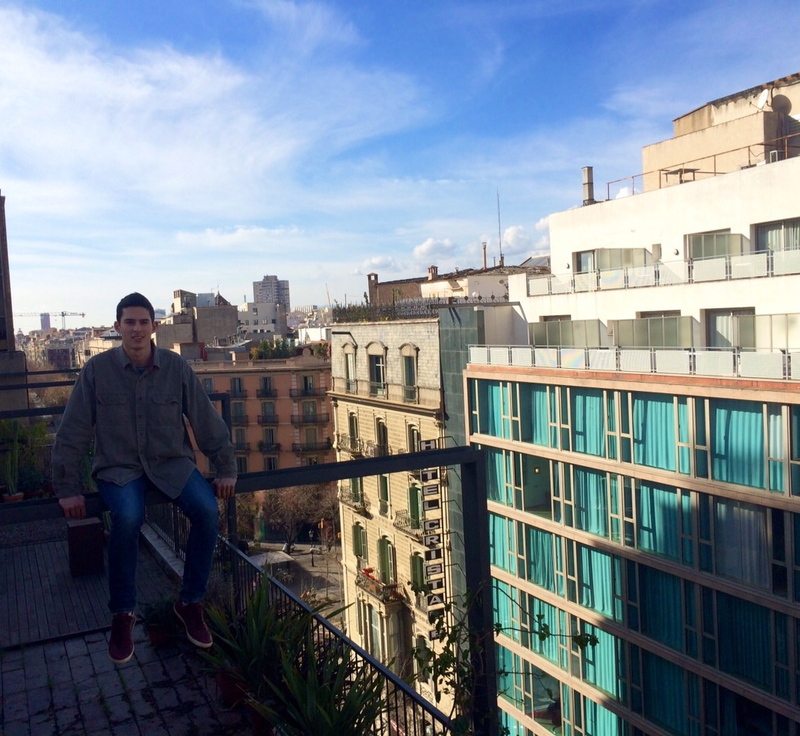 And what better place to study than Barcelona. Fiestas, siestas, beaches and mountains…. I booked a flight out from the Alps and visited a couple of potential universities. If all goes to plan, my application will be accepted and i will spend 3 or 4 years in the vibrant city of Bar-the-lona! But for the meantime i’ll return back to the mountains for a ski.